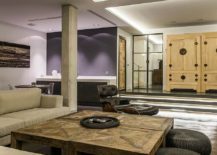 The beauty of picking a style and theme for your home is the way in which you can alter it to reflect your own taste, heritage and personal preferences, even while keeping in line with the overall picture. 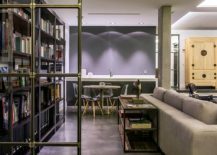 Local architectural influences, trends of the time and historic events also play a major role in creating and reshaping styles constantly. 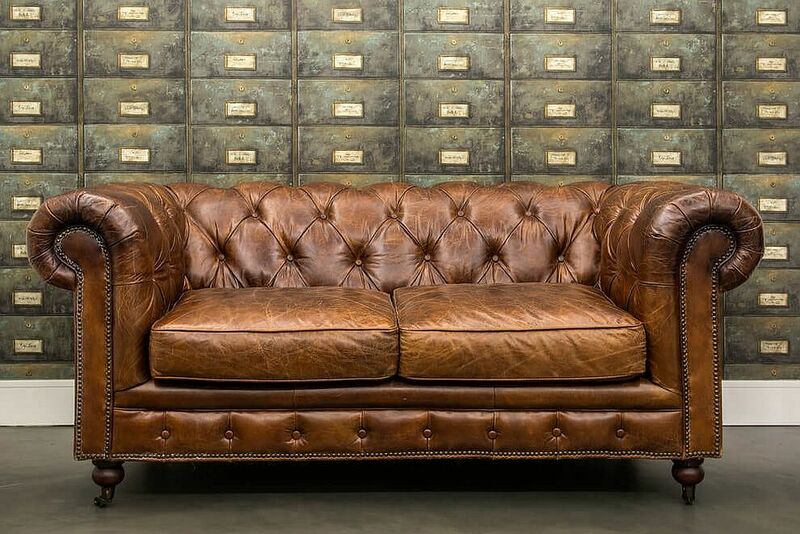 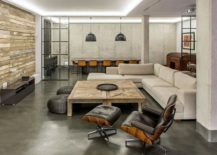 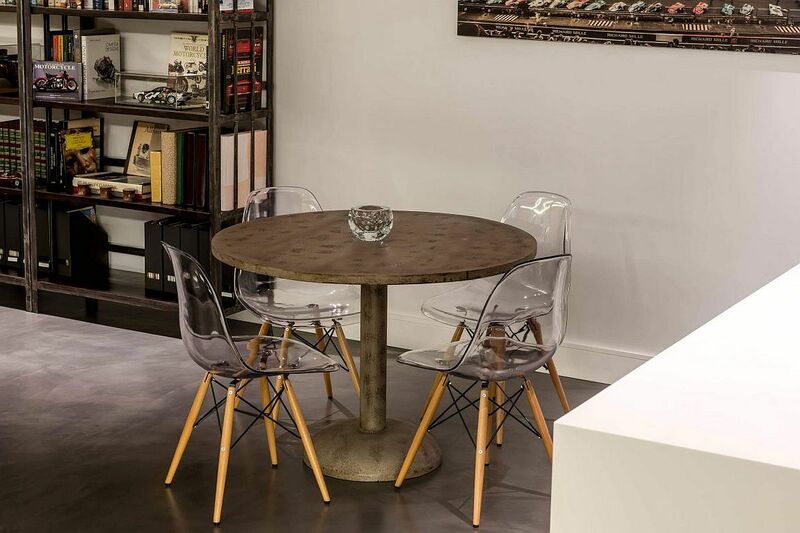 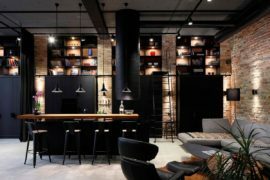 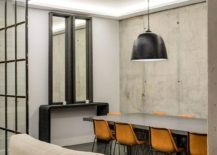 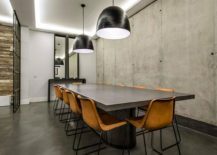 Modern industrial style is one such delight that seems to combine the simplicity and unassuming practicality of industrial style with modern refinement and the latest trends. 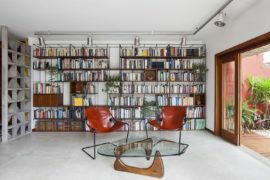 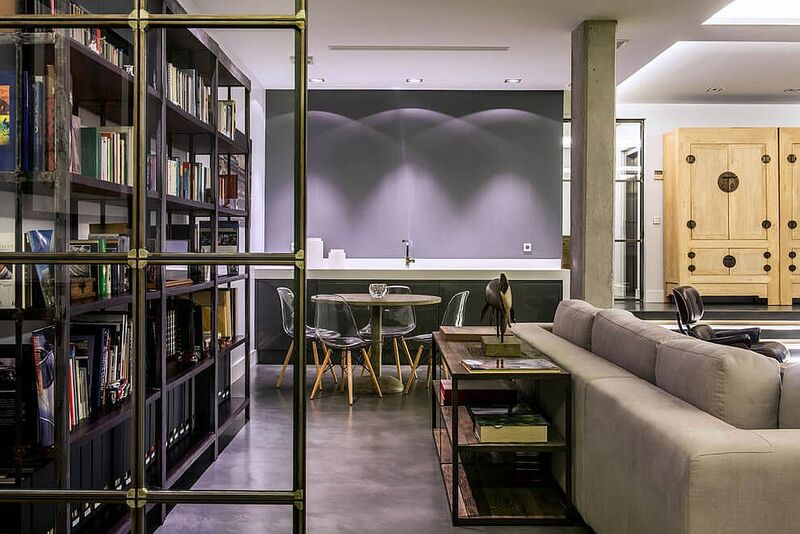 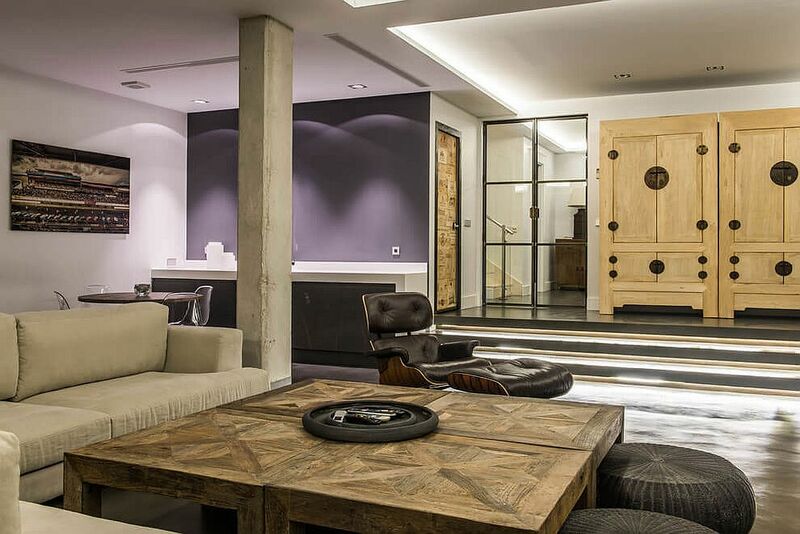 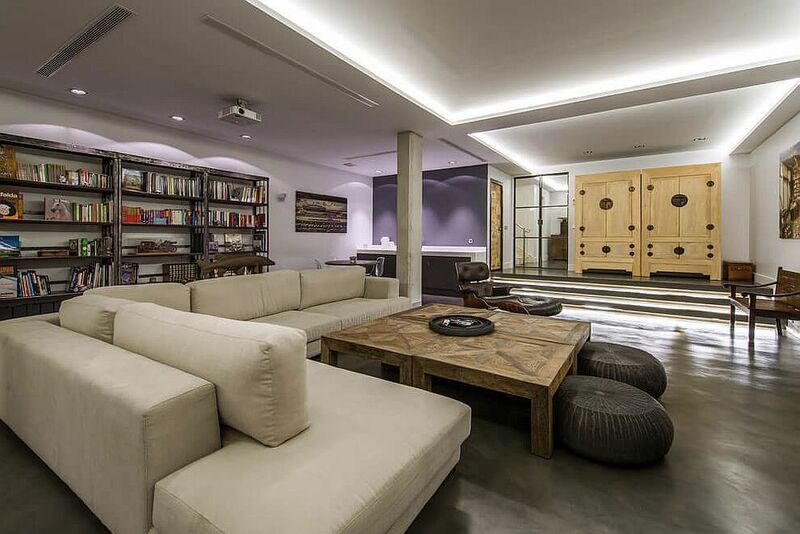 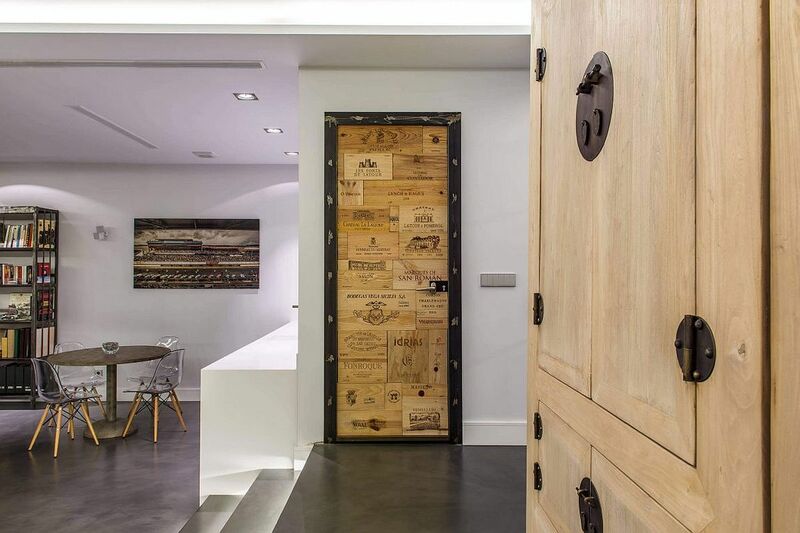 And this fabulous home in Pozuelo de Alarcón, Madrid, Spain captures this newfound style to perfection! 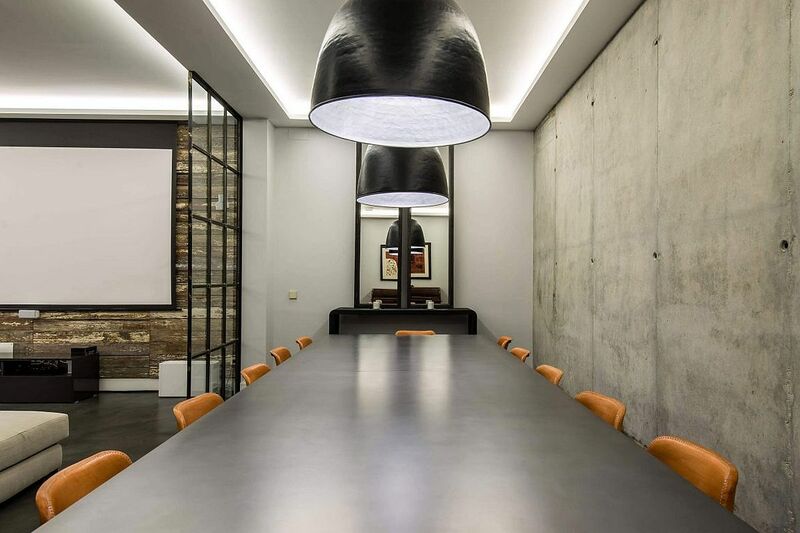 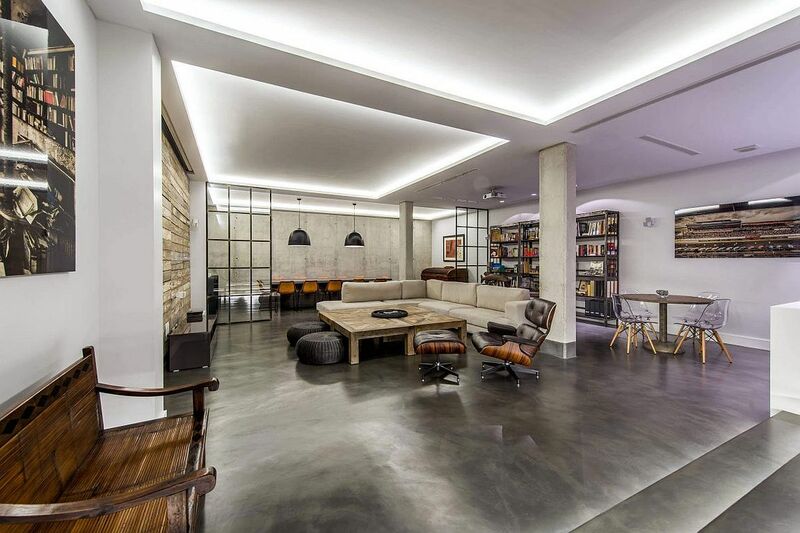 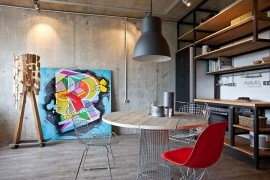 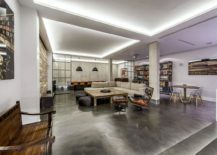 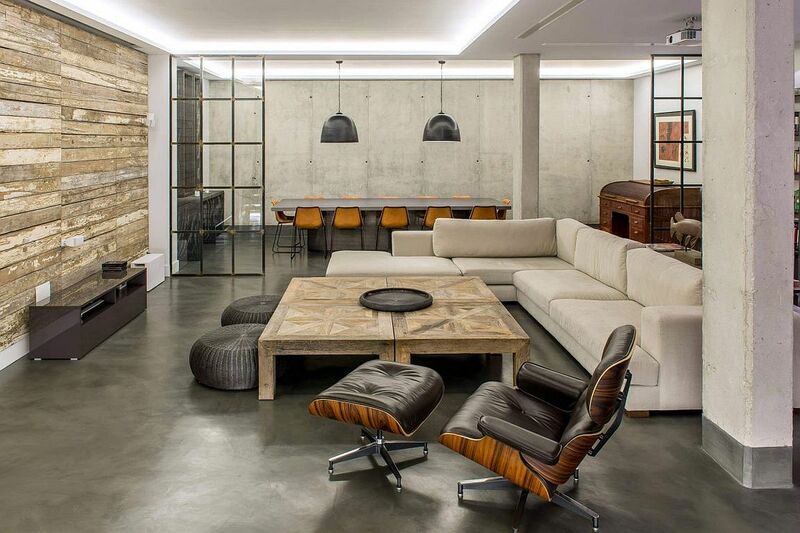 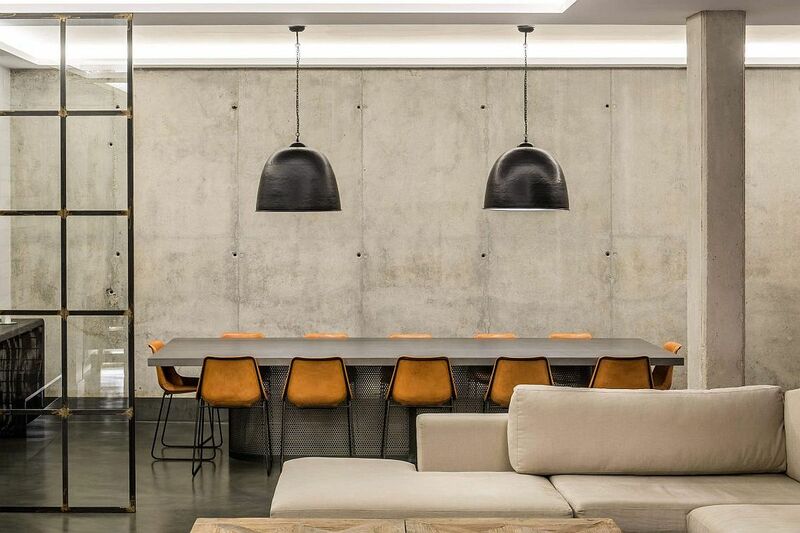 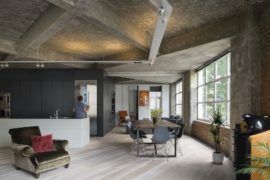 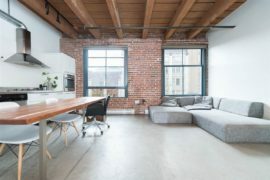 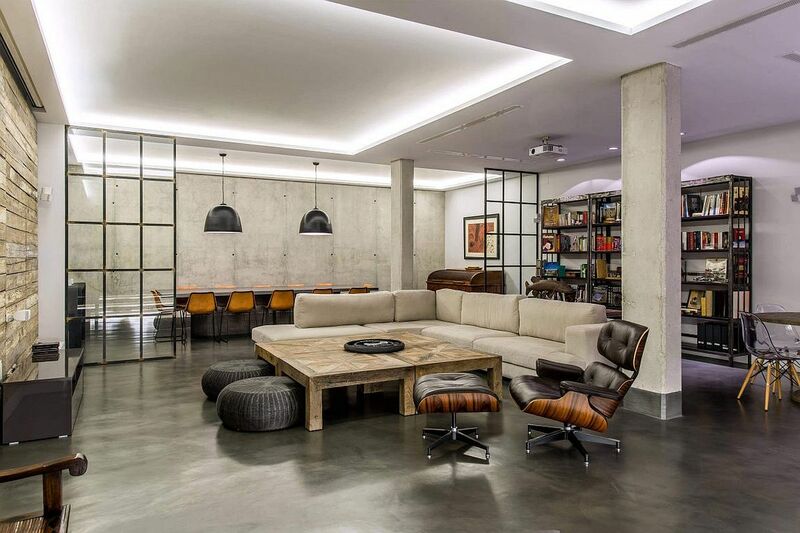 RELATED: Williamsburg Loft: Industrial NYC Home Designed for a Chef and a Sculptor! 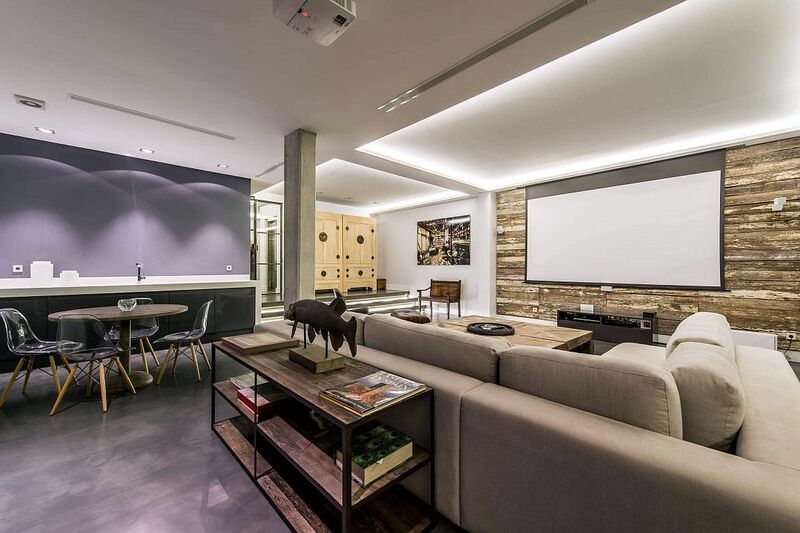 Crafted with great care by Marisa Gonzalez Llanos, the home revels in combining different textures that seem raw and unfinished without ever overpowering you with unnecessary detail. 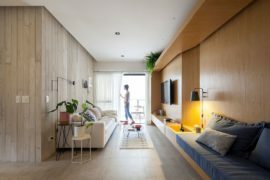 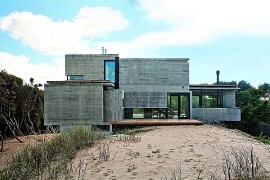 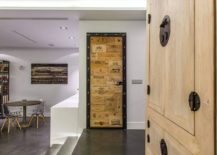 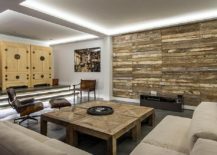 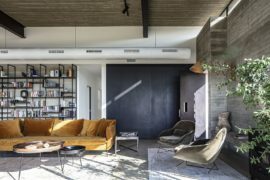 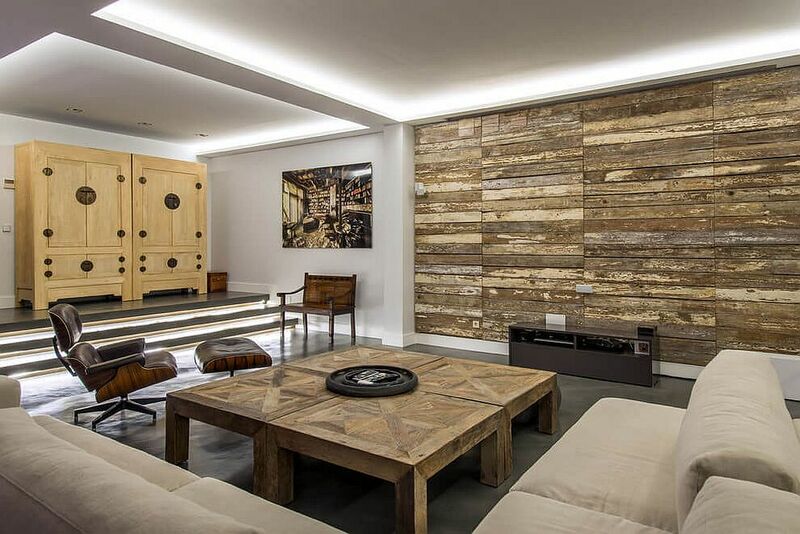 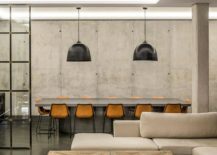 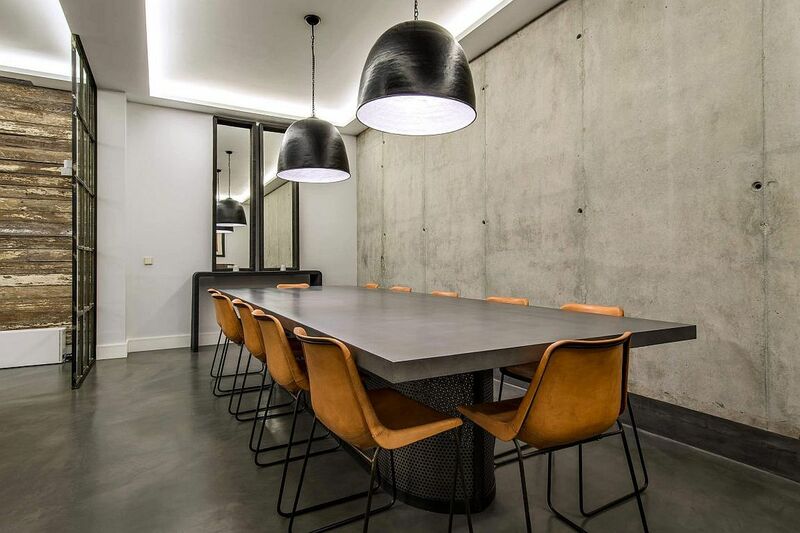 Exposed concrete walls, reclaimed wooden planks that create accent features, cool doors seemingly crafted from upcycled crate boxes, and of course more polished modern finishes – it is a blend that leaves you captivated! 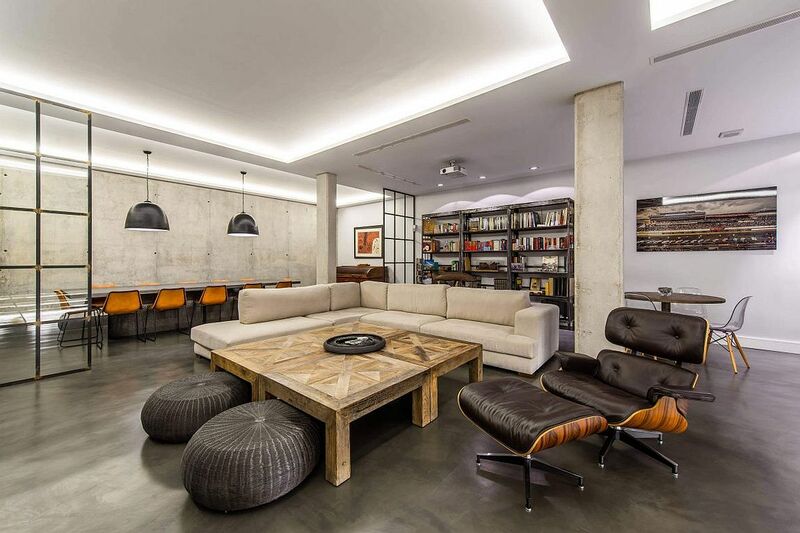 An open living area with the kitchen on one side along with the breakfast area and the dining space on the other is filled with plenty of natural light, even as industrial-style décor and large pendants enhance the overall vibe of the Spanish residence. 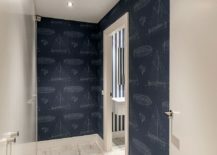 Features like the open bookshelf with metal frame, the large wooden wardrobes and the relaxing, nautical-themed bathroom ensure that there is no boredom here despite the neutral color scheme, which is enhanced by the odd splash of purple. 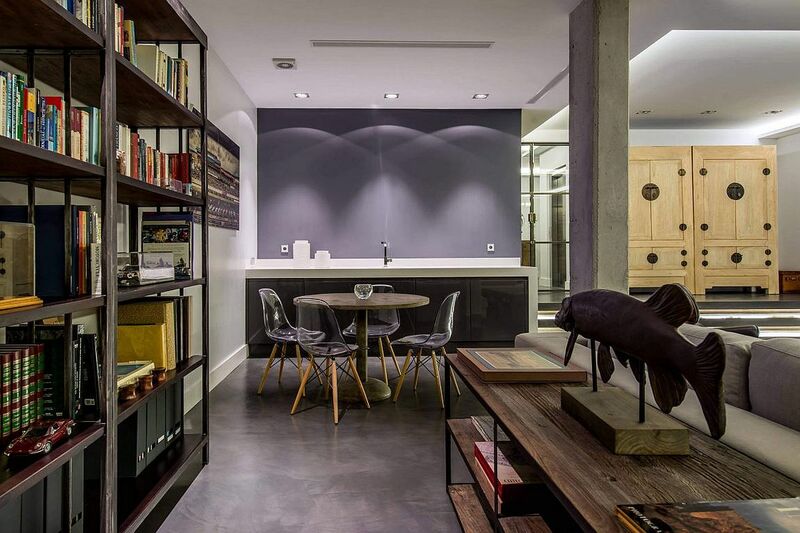 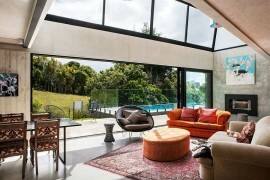 Exquisite and cheerful, this is a home that has a style of its own!